Having a newborn often means preparing your household with the lastest infant accessories and protective gear, but if you're looking to purchase some practical items that will suit both you and your child, then these baby-friendly furniture pieces will certainly do the trick. Finding practical pieces of furniture for your home that will suit your newborn child is not an easy task, but these uniquely designed furniture pieces will definitely make lounging at home much more enjoyable. 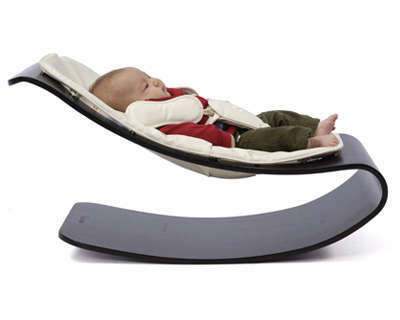 From open concept baby beds that can cleverly connect to an adult-sized one to sleek infant rocking chairs, these baby-friendly furniture designs will definitely have any new parent feeling much more comfortable at home. A fantastic way for both parents and babies to relax, these practical furniture pieces will definitely provide a suitable place for babies and toddlers to lounge.